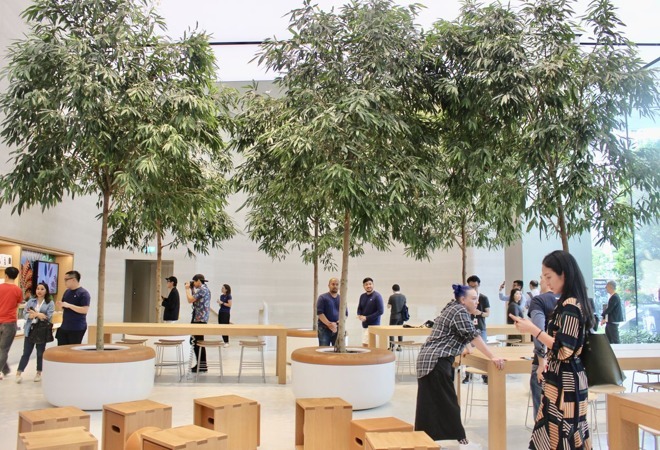 Images from Thursday media preview offered a detailed look inside Apple's first store in Singapore, set to open this Saturday. 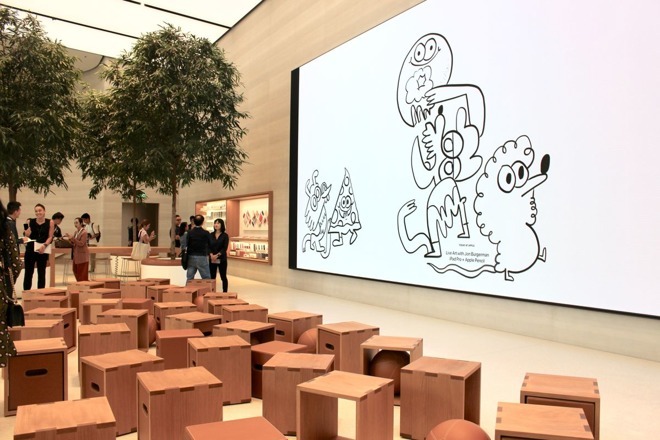 The Orchard Road outlet is two stories tall, and features many of the design traits of Apple's other flagship locations, Mashable noted. These include things like wooden shelving, a special meeting room, and an open forum with seating, situated in front of an oversized video display. 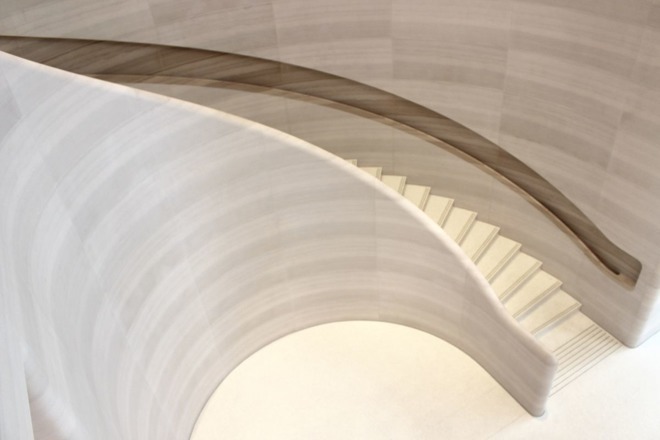 A curved staircase to the second floor is said to be inspired by Apple Park, the company's new headquarters in California. Trees on the second floor were reportedly imported from neighboring Malaysia. The most dramatic part of the building may still be its glass facade, which spans some 120 feet, and makes both floors visible to passersby on the street. 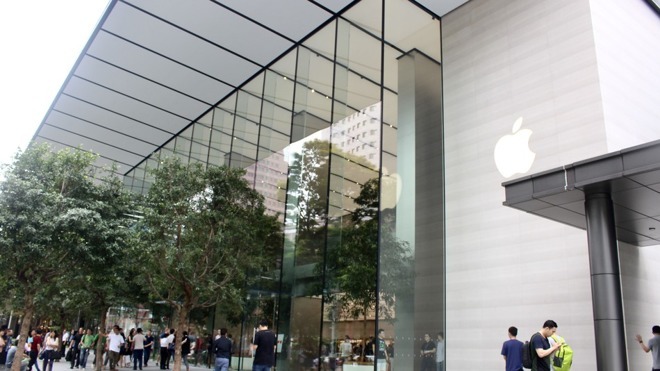 In that regard Orchard Road is similar to other high-profile Apple stores, such as the Union Square location in San Francisco. 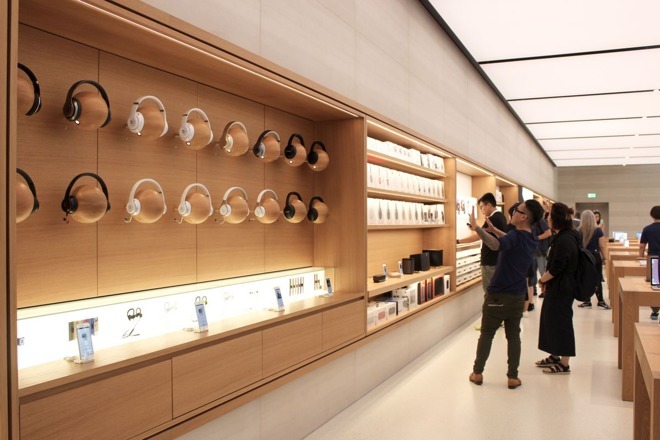 Apple has so far concentrated its east Asian retail presence in China and Japan, two of its biggest markets. The company is also working on its first South Korea store, which should open in Seoul later this year, most likely November.